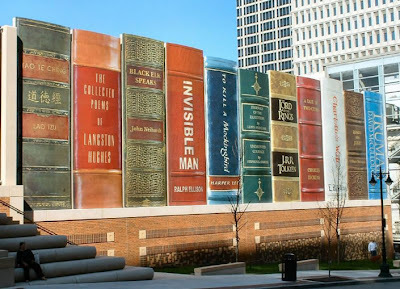 Well, here's a cure for the architectural problem of the ugly parking garage! 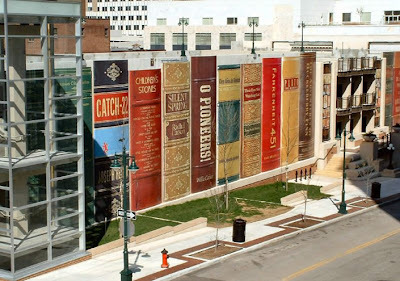 The Kansas City library has installed this 25 foot high "bookshelf" on the side of their parking structure for their central branch, featuring classic titles such as To Kill a Mockingbird and Invisible Man, among others. Neat! Very clever way to hide a parking lot and also call attention to the library.